The Peak Climbing Team is designed for kids who show an interest in physical and mental challenges. Climbers will work alongside their peers with our dedicated coaches learning technique, respect, and discipline. Tryouts must be scheduled in advance. Beginner, Intermediate, and Advanced Teams are invite only. All teams are based on ability, not age. This is the best place to start for new climbers looking to improve on their climbing skills. We focus on the introductory aspects of climbing and strength training. The Recreational Team has access to the gym prior to normal business hours. All climbers are tested (physical fitness, mental aptitude, & climbing) to monitor improvement and placement within the Team Program. The Beginner Team is designed for kids who show an aptitude for climbing. 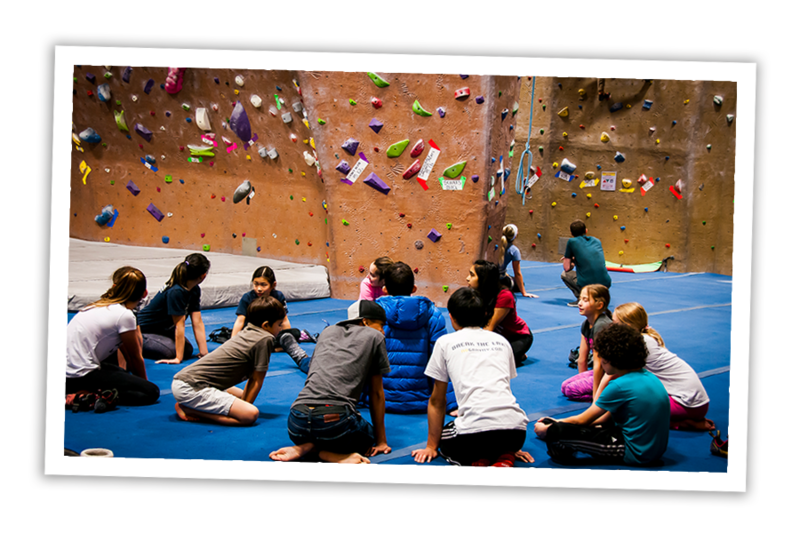 The primary focus of this team is to introduce kids to training for climbing via fun and engaging instruction and climbing related strength workouts. All climbers are tested (physical fitness, mental aptitude, & climbing) to monitor improvement and placement within the Team Program. The Intermediate team is the precursor to the Advanced team. Intermediate team practices are structured to provide a more challenging training regimen and are required to maintain minimum physical standards. All climbers are tested (physical fitness, mental aptitude, & climbing) to monitor improvement and placement within the Team Program. This team is designed for climbers who have committed to higher level of training and dedication. All Advanced team members are required to compete locally and regionally with the potential to compete nationally. All climbers are tested (physical fitness, mental aptitude, & climbing) to monitor improvement and placement within the Team Program. Email or call to schedule a tryout today!